In today’s startup environment, the term “venture funded” appears to be synonymous with “my company won’t fail.” Based on the way tech blogs and startup websites report on venture-backed companies, you would think that every other startup is being funded by venture capitalists. However, the reality is that less than 2% of all companies actually receive funding from VCs. This is mainly because most businesses don’t need venture money or they do not properly go about it the right way. If you are a startup that doesn’t know whether or not you need VC investment, then you probably don’t. Bootstrapping or angel investors may be a better option. For companies that already understand their needs and are ready to look for venture capital, let’s proceed to find out exactly how to find and contact these mysterious people. I had the privilege of speaking with two individuals who work in the venture capital industry alongside the investors who are funding the next Facebook or Google. One is an associate at a San Francisco-based VC firm that invests in early-stage technology companies, and the other is a senior associate at a Connecticut-based VC firm that invests in digital media technologies companies. When speaking with both associates, it became apparent that they were very aware of the best strategies and tactics for startup founders to get in touch with venture capitalists. Once you find VC firms that invest in companies like yours, find them on social media. A large number of venture capitalists are on social networks like Linked In, Twitter, Facebook or Q&A sites. Furthermore, many of them have their own blogs in which you can read and comment on their blog posts. One of the more popular VCs who blogs and uses Twitter regularly is Fred Wilson of Union Square Ventures. Following him, knowing what he likes and doesn’t like will better define whether or not your company is a good fit for his investment. Another example is True Ventures’ Q&A website in which the firm engages with users on various questions they may have. Using these tools to create a dialog will enhance your opportunities of creating a relationship, and in turn getting an opportunity to pitch your business idea. This is one tremendous opportunity that entrepreneurs are often not aware of. Many venture firms offer “office hours,” which is a designated time that allows entrepreneurs to simply walk in a VC’s office and interact with firm associates and industry experts. This is a great time to introduce yourself, your company as well as ideas that you may have. Furthermore, this is an ideal time to learn whether or not your company fits into the profile of a typical company that the specific firm would invest in. A prime example of this is True Ventures, which offers “Open Coffee” on the first Thursday of the month. Entrepreneurs need to be resourceful in order to succeed. When attempting to find an investor, consider talking to other companies that they have already invested in. The founder of a portfolio company knows how he earned the funding, and therefore can share his wisdom. Start by going to the venture firm’s website and browse the list of portfolio companies. Find a company within your space. Email the founder and ask to grab a cup of coffee. Talk to them about your idea, get feedback and begin building a relationship. If your connection becomes strong enough, ask for an introduction. An investor will be more likely to give you 10 minutes of their time if one of their current investment companies makes an introduction. 1. Never Submit a Business Plan via Email or Website Form. No one will read it. It is that simple. By utilizing such conventional channels, there is nothing that separates your business plan from any other company. Therefore, it is not worth their time to read it. The volume of business plans that VCs receive each month can be astounding. Your plan will simply become lost in the pile. More importantly, investors will not spend time reading blind business plans while there are countless other startups that are getting their attention through more creative means. Consider utilizing one or more of the strategies listed in the Do’s to better your odds. 2. Never Cold Call or Cold Email a VC. Cold calling or cold emailing doesn’t allow you to distinguish yourself from any other company. If you don’t have an appointment or they are not expecting your call or email, you then simply become an obstacle to them accomplishing their daily tasks. Your email will be viewed as spam and this will not present the best first impression. Without some prior knowledge of who you or your company are, there is very little reason, incentive or purpose for an investor to listen to an entrepreneur who has randomly contacted them. 3. Don’t Immediately Ask For Money, Ask For Advice. 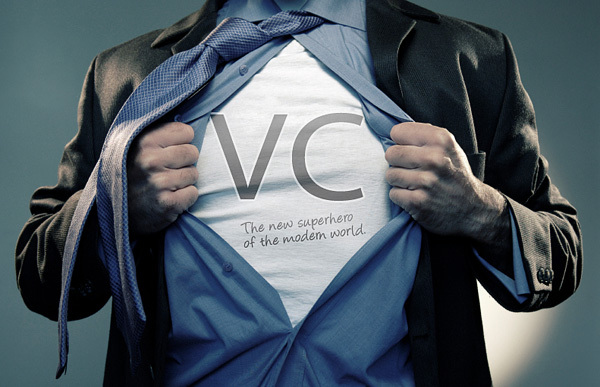 The great VC’s and investors love to help people. They like to see an entrepreneur realize his or her dream and mold it into a profitable and value-creating business. Therefore, once you manage to get the attention of a venture capitalist or angel investor, don’t immediately ask for money. Build a relationship. Let them know who you are, what you stand for and what your goals are. After you create that genuine relationship, then you find an opportunity to pitch them on your investment needs. Startup founders have multiple avenues and methods to get in contact with a venture capitalist as long as they work smart enough and are creative enough. An industry insider has provided us with valuable and practical tips, now all you have to do is act on them. Most importantly, it is critical to remember that all interactions should be genuine and not about selling yourself. It should be solely about building relationships. No one will fund you immediately after meeting you. Furthermore, if they decide not to fund you, they definitely know industry colleagues and investors who can provide you with mentorship, advice or capital. Another important tip is that you must take the time to learn about each firm, its partners and associates and most importantly what type of companies they invest in. A great way of thinking about this is by using the analogy: “Target investors like a sniper rifle, not a shot-gun.” This simply means be very specific and diligent in finding the ideal investor, as opposed to aiming for any firm with money and guidance. Best of luck and remember to be persistent, resilient and foolishly ambitious. If I have neglected to mention something, or if you have had personal successes or failures with trying to get in contact with venture capitalists, share them with us in the comment section. Any advice that you can provide may help another entrepreneur or startup raise the capital they need.